! "AINHOA" GANA EL PREMIO AL "MEJOR CORTO INTERNACIONAL" EN BELGICA! -! 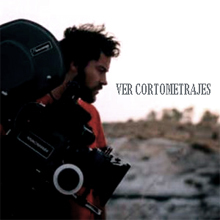 "AINHOA" ha recibido el Premio al "MEJOR CORTO INTERNACIONAL" en el “MOVING PICTURES FESTIVAL” en Kalmthout, BELGICA! El premio ha sido concedido por el público de la ciudad belga de Kalmthoutal durante las proyecciones de los cortos finalistas. 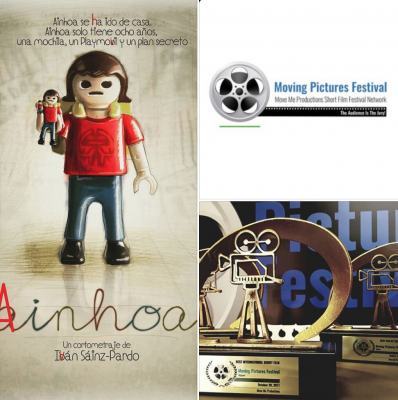 -WINNER "AINHOA" - Short Film" by Ivan Sainz-Pardo has won "BEST INTERNATIONAL AWARD" at “MOVING PICTURES FESTIVAL” in Kalmthout, BELGICA! The audience in Kalmthotal city was the Jury during the screening of the finalist shorts.